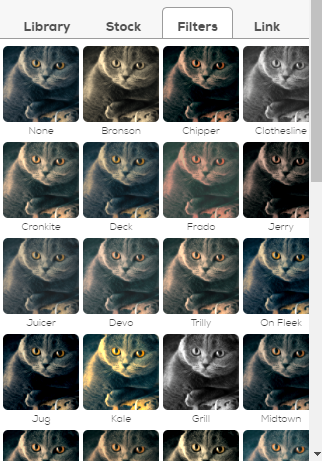 The following describes how to use Remixer's image editor. You must use an image 'Web Section' in order to place an image on your page. Images can only be placed within the pre-defined area of that section. It's currently not possible to upload images to any location outside of an image 'Web Section'. It's currently not possible to resize image file sizes in Remixer. To improve your site speed, make sure your image file sizes are optimal. A general size would be 300k for logos and 100k for all other images. The more images, the longer your page will take to load. For image editing, you can zoom, flip, or rotate images, and apply color filters. If your Remixer site was created prior to October 20, 2017, some new image features (such as filters and image hyperlinking) do not function. Only newly added Remixer 'Web Sections' include full image editor functionality. Remixer allows you to upload images from several sources such as social media accounts, Pixabay, or an existing website. Not all image formats function with Remixer. For example, if you try to upload a .svg or .tiff file, Remixer will display an error message. It's recommend you use .png or .jpg image formats. 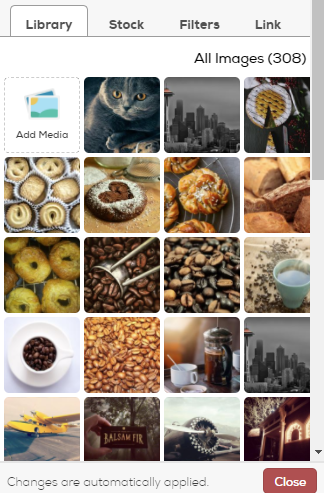 You can also add a .gif images, but they will display as static images even if the gif itself is a moving image. 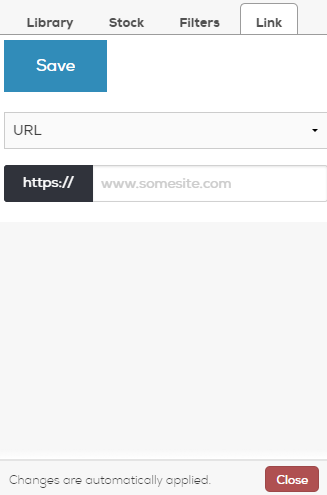 Once uploaded, you can add them to your website. Click the 'Media' button on the top right. Click the 'Images' link to view your options to upload. Click on any option and upload your images. First, you must add a 'Web Section' that contains images. After the 'Web Section' has been added, click the stock image you'd like to change. 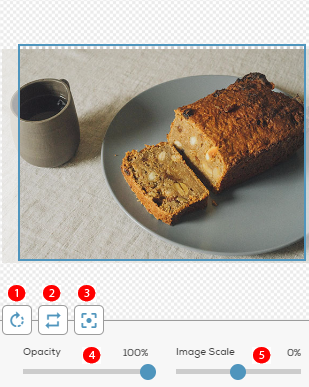 The left pane opens an image editor. Here you can click an image you've already uploaded. Once clicked, the image is immediately added to your page. Click the 'Images' link to view all images. On the bottom right, click the red 'Delete' button. After you've added a ''Web Section'', uploaded your images to the 'Media' page, and added your image to your Remixer page, you can continue to edit the image further. Click the image to open the left editing panel. The current image displays in the left panel where you can make adjustments to it such as rotate, flip, and re-center. Below these options are sliders for adjusting Image Opacity and Image Zoom Scale. To replace the image with one from your collection, click the 'Library' tab. Then click an image in the list of images below. If your image selection is not in the Library yet, click Add Media button to upload your image directly. 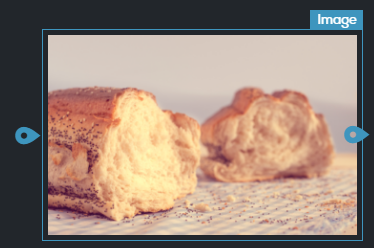 Alternatively, you can upload your images under “Media” in the top right navigation bar as described above. Changes in the Image Editor are automatically applied. If you wish to change a previous image edit, click the Undo/Redo button in the top left corner of the Editor panel. Once you have selected stock photos from Pixabay search, it is added to your Library (or, Media) catalog. 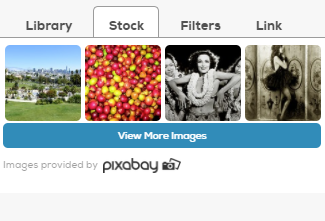 To return to the Image Editor, click the Close button in the bottom left corner of the Pixabay Search page. 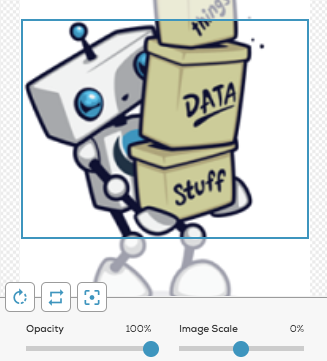 You can now see the imported image by clicking the 'Library' tab within the current image editor. URL — Type in the URL you want the image to redirect to. Please note that Image hyperlinking does not work for Hero or Parallax fullscreen 'Web Sections'. You can tell which 'Web Section' you're in by looking at the top right of the section. You'll see the name of it. 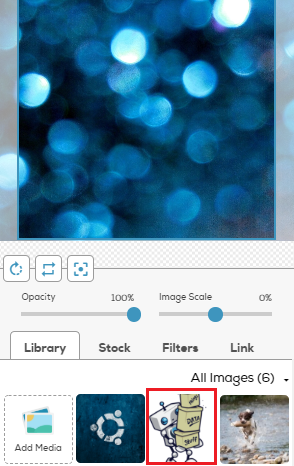 After you finish editing your images, click the Close button in the bottom right corner of the Image Editor panel.